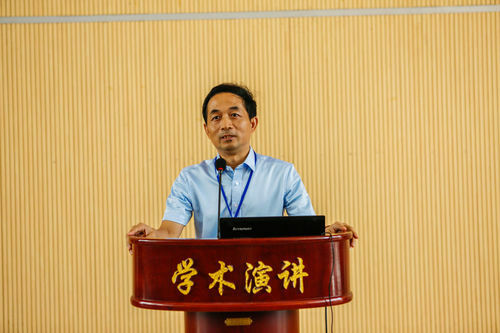 On July 21-24, a seminar on radio technologies for the four places across the Taiwan Strait jointly sponsored by Gospel, South China University of Technology and Xiangnan University was held at Xiangnan University. Nearly 100 experts in the field of radio from National Sun Yat-sen University in Taiwan, National Penghu University in Taiwan, Hong Kong City University, Maui University, Maui City University, South China University of Technology, Shanghai Jiao tong University, Xi'an Electronic and Science University, Beijing Institute of Technology and other universities gathered together. Discuss the latest achievements and academic developments in the field of microwave circuits and antennas. The chairman of the conference was chaired by Dr. Liu Tan-Ai, Chairman of the Board of Directors, Director of Institute of Antennas and Radio Frequency Technology of South China University of Technology, Professor Chu Qingxin, Distinguished Professor of Teachers College of Xiangnan University, Professor Huang Xiaoyi, member of the Party Committee and Vice President of Xiangnan University. Professor Yao Min, dean of the School of Electronic Information and Electrical Engineering, served as chairman of the organizing committee and presided over the opening ceremony. 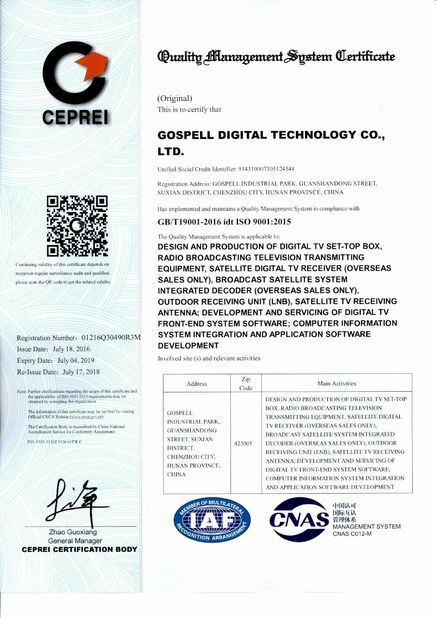 Huang Xiaoyi, Gospell Digital Technology Co., Ltd. General Manager You Zongjie respectively welcome speech. Chu Qingxin introduced the preparation for the meeting, the process and presided over the three congress reports of Professor Lu Gui-wen of City University of Hong Kong, Professor Zhu Lei of Macau University and Professor Weng Jin-tai of National Sun Yat-sen University in Taiwan. It is reported that the four sides of the Taiwan Strait radio technology seminar is currently the world's wireless communications technology is very important and is highly regarded by Chinese from all walks of life the annual academic. Since the first session of the Chang Gung University was hosted by Taiwan in 1998, the rotation has been held in mainland China, Taiwan, Hong Kong and Macao each year, and this year happens to be the twelfth session. A total of 74 papers were published in this conference, including 52 in mainland China, 9 in Taiwan, 9 in Hong Kong and 4 in Macao. There are also 3 reports in the conference, covering theories and calculation methods of electromagnetic fields, antenna theory and techniques, microwave devices and circuits , Radio propagation and scattering, electromagnetic measurements, electromagnetic compatibility, signal processing and communications systems. It reflects the current status of research and development in the radio field across the Taiwan Strait. After expert review, 4 outstanding conference papers were selected in the 12 selected papers.